Create a unique display using your favorite plants and these Wood Drawer Planters. 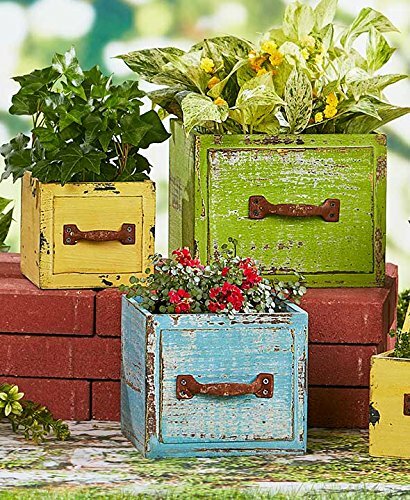 Each planter is lined in plastic and has a real metal drawer handle on the front. The 3-Tiered Stacked Planter consists of 3 connected planters. 18"W x 6-5/8"L x 11-7/8"H, overall, extended. Each planter tier, 5-7/8" sq. x 3-7/8"H.